In the early years of World War II, particularly 1940 and 1941, MI5 was inundated with reports of suspicious people, flashing lights, strange markings on telegraph poles and spies dressed as nuns. In the middle of June 1940, MI5 appointed Regional Security Liaison Officers (R.S.L.O.) to the headquarters of the two Civil Defence Regions seen to be under imminent threat of a German invasion (Cambridge & Tunbridge Wells). By the end of September, 1940, every region in the country would have an R.S.L.O. It was the job of the R.S.L.O. to assist the local police in arresting, searching and interrogating suspicious characters. The R.S.L.O. for Cambridge, an officer by the name of Dixon, was a very busy man indeed, handling the apprehension of several German parachute spies: Gosta Caroli, Wulf Schmidt, Kurt Karl Goose (sometimes called Hans Reysen), Josef Jakobs and Karel Richter. Tracing Dixon has proved to be a tad difficult. One author suggested his first name was Richard/Dickie/Dicky, but this may have simply been a nickname. Perhaps "Dixon" was shortened to "Dicky" or he had a "dickie" leg. 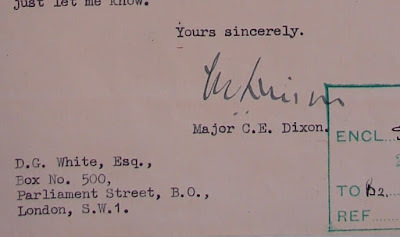 MI5 reports signed by Dixon indicate his first initials were C.E. After a few stabs at it, it appears that the most likely candidate is one Cyril Egerton Dixon who, just to confuse matters, sometimes went by the name Cecil. Cyril was born on 21 July, 1903, in Berwick, Scotland, to Colonel Sir Henry Grey Dixon and Constance Ethel Mitchell-Innes. 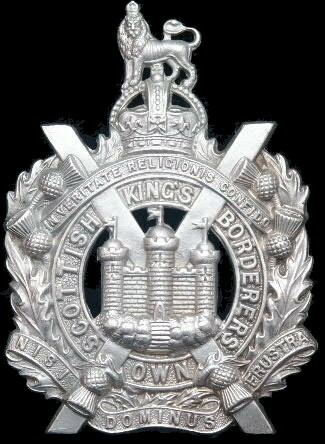 Cyril's father, had an illustrious military career serving with the King's Own Scottish Borderers. Sir Henry saw action in Afghanistan, Sudan, Egypt and South Africa. He even served as Aide-de-Camp to Queen Victoria (1898-1901) and King Edward (1901-1907). Sir Henry and Constance had one other child, born in 1901, Harold Grey Dixon. Cyril's older brother served briefly with the Dorset Regiment from 1918-1919, as an Observer Officer with the Royal Air Force. In 1923, Harold left England for Malaya where he became involved in rubber tree plantations. There isn't much on Cyril's early life although some evidence suggests that in 1925 he was a 2nd Lieutenant with the King's Own Scottish Borderers. It would also appear that Cyril was a cricketer, a right-handed batsman, playing for Hampshire in the 1926 County Championship. The next time we find mention of him is in a copy of the 1940 London Gazette where he was enlisted into the Intelligence Corps. The Army List from 1941 also makes note that C.E. Dixon received an Emergency Commission as a 2nd Lieutenant in the Intelligence Corps. Even though Cyril was a 2nd Lieutenant, as of June 8, 1940, he was first an Acting Captain and then an Acting Major. Interestingly, J.C. Masterman, of Double Cross committee fame, is listed just a few lines above Cyril. 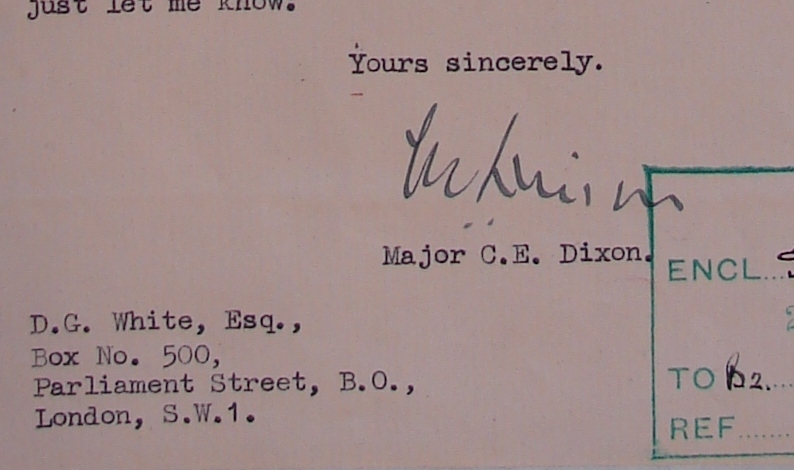 Alas, beyond these tantalizing references, Dixon managed to keep a low profile during the war. Although he was involved in the apprehension of several German parachutists, he generally managed to avoid testifying at their trials (e.g. those of Richter and Jakobs). Dixon did get into a bit of trouble in the spring of 1941 after German spy Engelbertus Fukken (alias Jan Willem ter Braak) committed suicide in a Cambridge air raid shelter. As it would turn out, Fukken had landed near Milton Keynes in early November 1940 and ended up living just around the corner from Dixon. Towards the end of the war, Dixon served with Counter-Intelligence (CI) in India (Delhi Intelligence Bureau), setting up the Counter Intelligence Combined Board (CICB). As a Colonel in 1946, Dixon served in Singapore, reforming the Combined Intelligence Far East (CIFE) as Security Intelligence Far East (SIFE). He briefly served as head of SIFE before passing leadership on to Malcolm Johnson of MI5. After his career as an intelligence officer, Col. Dixon apparently traveled back and forth to Africa as secretary for W.A.I.T.R. (West African Institute For Trypanosomiasis Research) (ship passenger records). Cyril (or Cecil) passed away in Rye, Sussex on 3 March, 1973.